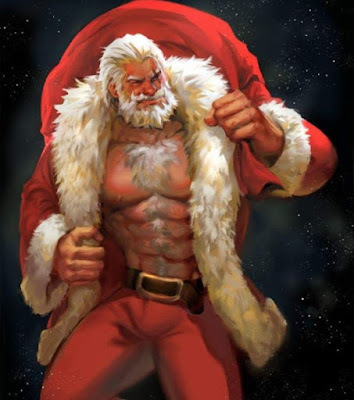 Home / $AUD / $CAD / $EUR / $GBP / $JPY / $SEK / $SPY / $TLT / $USD / No Santa Rally for Greenback? No Santa Rally for Greenback? The US dollar struggled the week before Christmas, despite the final approval of tax changes and a backing up of US interest rates. The dollar fell against most of the major currencies except the Japanese yen. The yen is particularly sensitive to changes in the US 10-year yield and the 14 bp increase over the past week, the most in Q4, kept the yen under pressure. However, even with the US 10-year yield reaching nine-month highs, the market, or what is left of it, showed little enthusiasm for the greenback as it approaches the upper end this month's range (~JPY113.75). Still, the bottom end of the recent range (~JPY112.00). The daily Slow Stochastics and MACDs are supportive. The 50-day average crossed above the 200-day average (golden cross) in early November, though it did not spur dollar buying. The dollar had shot higher at the end of 2016 against the yen, and after correcting lower in the first part of 2017 spent much of the year in range. Although the edges frayed, the range was mostly between JPY108 and JPY114.50. We often find the dollar-yen is a range-trading pair, and when it looks like there is a trend, it is often a transition to a new range. We anticipate that it will be a higher dollar range next, even if not right away. The euro traded heavily before the holiday-weekend as the political parties that ostensibly seek Catalonia's independence won a majority of seats (but not popular vote) in the regional election. Spanish stock underperformed, as one would expect, and the two-year yield rose four basis points. However, the 10-year yield was finished slightly lower. There is an understandable fear that the independent parties are secessionist too and there is a repeat of this past October confrontation. We do not expect a less-secessionist minded leadership to emerge in Catalonia and suspect the programmatic differences between the parties may make for a more fragile coalition than may be appreciated in the immediate aftermath of the election. The Ciutadans picked up 12 seats to 37 in the new assembly, the largest single party. It is opposed to independence. The euro losses before the weekend snapped a four-day advance. However, earlier gains gave it a sufficient cushion and the single currency finished the week higher for the first time in four weeks. Since the middle of July, euro has been in a broad range of roughly $1.16 and $1.20. The euro traded above $1.19 for the second time this month but failed to close above it on December 20. The subsequent pullback, spurred in part by the Catalan election results, saw the euro approach the middle of that broad range. Interest rate differentials moved in the US dollar's favor since September. The US two-year premium over Germany rose more than 50 bp since early September and is now at levels not seen since the middle of 1999 (above 250 bp). The US 10-year premium over Germany has widened by about 35 bp since September to 207 bp. It peaked at the end of last year near 235 bp. The higher rates the US has been forced to pay just managed to keep its exchange rate constant against the euro in Q4 (the euro is up 0.25% since the end of September). The larger interest rate premium may be required to compensate for some other risk or policy uncertainty. The dollar did rise against all the other majors in Q4 (save the Danish krone, which shadows the euro). It is the euro that looks like the outlier in Q4, not so much the dollar. Still, given the performance of sterling, the increasing US interest rate premium has barely kept the dollar flat this quarter. Sterling rose 0.4% last week to recoup a little more than a third of what it lost in the previous two weeks. It spent the entire week within the range set on December 15. That range, roughly $1.3300 to $1.3450, is the key to the near-term outlook. The US two-year premium over the UK is near 145 bp. It is the most in at least 25 years. It has risen 55 bp since early September. The US 10-year premium is about 45 bp wider since late September. It is near 125 bp now and put in the quarter of a century peak earlier this year near 137 bp. The Canadian dollar was the second strongest major currency against the dollar last week, gaining nearly 1%. The Swedish krona surpassed it was a 1.85% gain on the back of a shift in the Riksbank monetary policy. It began what promises to be a slow exit from its extraordinary policies by ending its QE. However, it will front-load the reinvestment of maturing issues and coupons, which means the balance sheet has not yet peaked. In any event, the krona has spent this month bouncing along the year's trough against the euro. Recent comments by the Bank of Canada coupled with a string of favorable data spurred speculation of a rate hike as early as January. We have been skeptical, and the disappointing October GDP report denies officials any sense of urgency. The flat October report (median expectation was 0.2%) means that the Canadian economy has stagnated from July through October. The two rate hikes in Q3 do not appear to have worked their way through the system. The Bank of Canada meets January 17. The US dollar appears range-bound against the Canadian dollar marked by around CAD1.2660 and CAD1.2910. Both ends of the range have been frayed this month. Since the greenback most recently (December 20) tested the upper end of the range, the rule of alternation suggests a test on the lower end of the range. The Australian dollar rose for the second consecutive week against the US dollar and finished above the $0.7700 barrier that has blocked the upside since early November. The area also corresponds to the 200-day moving average. The technical indicators are constructive, but the $0.7730-$0.7745 area houses what could be important resistance and retracement objectives. The strong labor market report and what appears to be growing confidence of the central bank has been reflecting in the rise of short-term interest rates. Australia's two-year yield had fallen below comparable US yields earlier this month, but have rebounded and now is a little more than 10 bp on top of the US, the most since mid-November. The price of light sweet crude oil also has been confined to a broad trading range in recent weeks. Crude for February delivery has mostly traded in a $56 to $59 range. The technical indicators favor further upside probing. However, the weekly readings warn that this near-term advance could complete the rally that began six months ago near $44 a barrel. US interest rates marched higher, and the curve (2-yr-10-yr) steepened. The two-year generic yield rose six basis points to 1.90%. The 10-year yield rose 14 bp to 2.49%. At the end of H1 17, the Fed funds futures strip implied about a 20% chance that the Fed funds target range would be at 1.50%-1.75% at the end of March 2018. The odds now, unchanged on the week, are nearly 70%. At the same time, the 10-year breakeven, an imperfect but readily handy market-metric of inflation expectations, has risen about 1.65% at the end of June to 1.95% before the weekend. The March note futures contracted approached the year's low set in March near 123-10. The low from the end of last year (continuation contract) was 123-00. Beyond that are the 2014 lows in the 122-22 to 122-24 area. The large speculators in the futures market have swung to a net short position for first time since April. The bulls (the gross longs) have been liquidating exposure and now hold 685.3k contracts, down from 844.3k at the end of November. The S&P 500 gapped higher on Monday and filled the gap on Wednesday, but spent the week meandering in narrow ranges. It managed to eke out a minor gain on the week despite falling in three of the five sessions and extend its winning streak to the tenth week. It has fallen in only two weeks since mid-August. The daily technical indicators are looking stretched and a pullback into the 2640-2660 area ought not to surprise. The Russell 1000 Value Index rose 0.6%. It has appreciated for the past five weeks, which is the longest streak since the first quarter. The 11% gain year-to-date is respectable and suggest this sector is not being ignored. Europe's Dow Jones Stoxx 600 is up 8% this year. On the other hand, the Russell 1000 Growth Index slipped a fraction (less than 0.1%), but just enough to break the 12-week rally. The Growth Index is up 28.8% year-to-date, a little below the MSCI Emerging Market Index (+32.3%).